The Great Muskoka Paddling Experience is a 18km (or 10km) race in Bracebridge, mostly on the beautiful Muskoka River. The river is nice and wide, calm, tree-lined with cottages and homes all along. 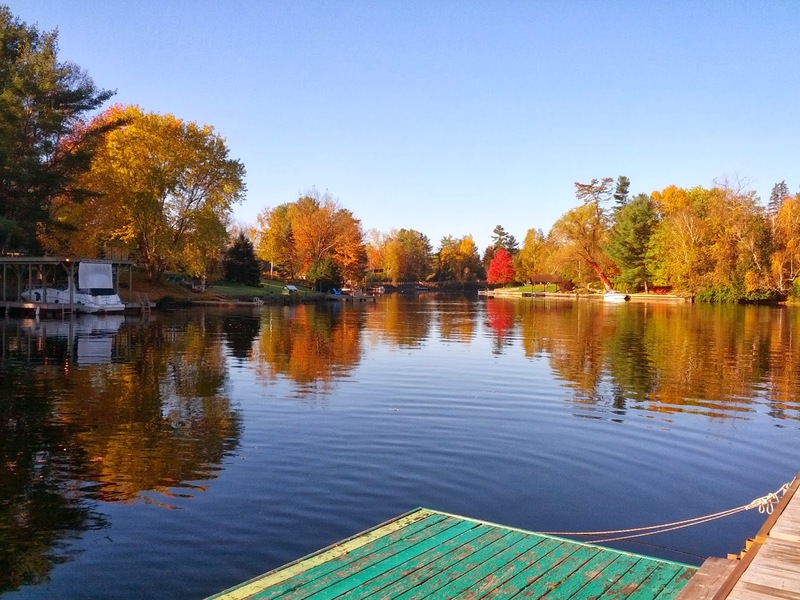 It's just a very nice slice of Ontario Muskoka. If you aren't that much of a "racer" but would like to do it - do it! Lots of people of all abilities out there, especially on the 10km. Canoes, kayaks, even stand-up paddle boards. Everyone is so nice, the setting is amazing, it's one of my favourite events of the year. We did the 18km race last year and managed to finish dead last in our category... so this year the goal was to not finish dead last in our category. Our start was really strong, we stuck with some boats we knew we wouldn't stay with to the end but it was nice not to get destroyed 5 strokes in. For some reason they started the kayaks after the canoes... so about 5 minutes in, the speedy kayaks came through. We got splashed by the scoopy paddles they use, which was slightly un-fun... maybe next year they can switch the order up! 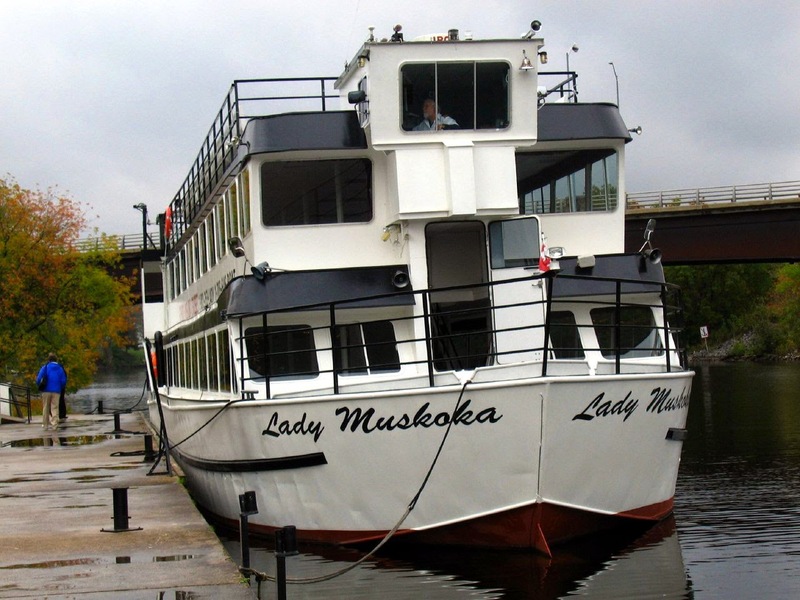 The start time is meant to avoid the Lady Muskoka's trip down river... but unfortunately we got going a little late, and surprise, she caught up to us! This boat is big, we moved to the side to avoid her, and mostly managed not to lose pace - until the wake got us. My buddy was trying to steer into the waves, I thought they weren't too bad, he was right and I was wrong... they were bad! But we stayed upright and kept given 'er. The 18km goes out into Lake Muskoka, which was surprisingly calm. We took the straightest line to the first island of all the boats, but still didn't manage to catch them... just couldn't quite find that extra gear. We picked up a few tips on going up-river (against the current), the most important being to stay away from the middle. This really helped, we had some decent speed even as we were fatiguing. Weather was interesting - single digits and little bits of rain now and then. The rain didn't bother me too much, we were warm from paddling and it never really turned into a downpour. I was happy with the general lack of wind, that was more important. With about 5km to go, the 18km joins the 10km folks, and it gets a little busy. This was mostly OK, a few little moments though. Stand-up paddle boards especially seemed to do some crazy back-and-forth, they need a lot of room... we tried our best to give them space, but one guy near the end managed to swing alllll the way over and hit us anyway (and then cussed us out, go figure!). Thankfully he was the only blemish in an otherwise wonderful day full of wonderful people being wonderful. In the end, we accomplished our mission - we didn't finish dead last. I haven't seen the results, but we know two boats started behind us and never passed us, maybe more. Congratulations on your race! Always look forward to reading your canoe blogs the most. Canoe racing brings all sorts of unpredictability. You and your buddy seem to be really getting into the groove with your racing. Thanks! Really loving discovering the paddling world, it's a whole new adventure. Great upper body workout, too, a great replacement for swimming for me!